Matthew Hagee, B.S., QMHS, received his Bachelors of Science in Psychology and a Minor in Religion and Philosophy from Wilmington College in 2011. In 2013, Mat became a certified yoga instructor and focused on mindfulness meditation and wellness with geriatrics and young adults. Prior to joining Child Focus, Inc., Mat spent over three years working in child welfare focusing on abuse and neglect of children, and over four years working in geriatrics focusing on mental health and wellness. Mat is a Qualified Mental Health Specialist in the Brown County office providing Community Psychiatric Supportive Treatment (CPST), with a focus in truancy prevention. He also provide case management, crisis intervention, prevention, and consultation to children and their families, both in and out of school. 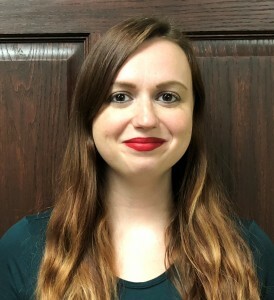 Amanda Hager, MA, LPC, is a licensed professional counselor who received her Master of Arts degree from the University of Cincinnati in 2018 for mental health counseling. Amanda also has a Bachelor of Arts degree in psychology from the University of Cincinnati. Amanda completed her internship at Child Focus in 2017, during which she gained experience in individual, family and group therapy and assessment/diagnostics. Amanda utilizes an integrative approach with an emphasis on Solution-Focused and Cognitive Behavioral Therapy (CBT). Amanda is currently the school-based counselor at Turpin High School. Andrea Hennel-Hall, MA, Psychology Assistant,is the Lead Qualified Mental Health Specialist Of Clermont Region 3 at Child Focus, Inc. Mrs. Hennel-Hall provides individual and group Community Psychiatric Supportive Treatment (CPST) services, individual and group prevention services, consultation services, classroom presentations, and diagnostic assessment intakes at Batavia Elementary School. Mrs. Hennel-Hall works with students who have been referred for symptoms such as anger, anxiety, depression, oppositional/defiant behaviors, self esteem, and social skills. Mrs. Hennel-Hall started working as an psychology student in the Child Focus, Inc., outpatient division from August 2012 to May 2013 where she assisted with groups on anger management, parenting education, self-esteem, and social skills. Mrs. Hennel-Hall has been a mental health specialist in the Batavia schools since September 2013. Mrs. Hennel-Hall completed undergraduate degrees in Psychology and Women's and Gender Studies at the University of Dayton in 2011. Additionally, she completed her Master of Arts degree in Clinical Psychology at Xavier University in 2013 where she was also an instructor for an undergraduate psychology class. Prior to her work at Child Focus, Inc., Mrs. Hennel-Hall worked as a residential specialist at a group home for adolescent boys who had recently been released from juvenile detention centers. The focus of Mrs. Hennel-Hall's work was providing daily support to the youth, leading life skills groups, and assisting the youth in achieving their goals. Julie Herrmann, MS, LPCC-S, earned her Bachelor’s degree in Psychology in 2004 and her Master’s Degree in Community Counseling in 2007 from Northern Kentucky University. Julie began working at Child Focus in 2004, spending her first two years serving as a family advocate for Head Start and the remaining years working with the Mental Health in Early Childhood program at Child Focus. Currently, she serves as the Assistant Director of Mental Health in Early Childhood, focusing on providing mental health services to children under the age of 6. Julie is trained in Trauma Focused Cognitive Behavioral Therapy and is recognized by the state of Ohio as an Early Childhood Mental Health Professional. Julie has extensive training in utilizing creative expression techniques in therapy and enjoys using art, play, and music in her work with young children. Throughout her time at Child Focus, Julie has worked with many trauma victims and is interested in how trauma impacts development. Julie has served on the Early Childhood Coordinating Council, as well as the Reactive Attachment Disorder (RAD) Coalition. Carol Hettel, MA, LPCC, is an Early Childhood Mental Health Consultant with the Mental Health in Early Childhood team. Carol provides consultative services to Early Head Start program staff, childcare providers and families to promote and support healthy social and emotional development in children birth to age three. Carol has been working with children and families in school and community settings for over twenty years. She has training and experience as a preschool and elementary teacher, social services administrator and child therapist in community based mental health agencies. Carol earned a Bachelor’s degree in Early Childhood Education and a Master’s degree in Community Counseling from the University of Cincinnati and is a Licensed Professional Clinical Counselor in the state of Ohio. Carol is active with the Ohio Association for Infant Mental Health which serves to enhance the social and emotional well-being of infants and toddlers. Ava Hittle, BA, QMHS, is a qualified mental health specialist for the Child Focus Juvenile court program in Clermont County. Her services as a QMHS at Child Focus include providing goal-oriented and individualized supports focusing on improvement of self-sufficiency for the persons served through assessments, planning, linkage, advocacy, coordination, and monitoring activities. She works with families in the home, court officials such as judges, and probation officers to offer the best for the client and family’s needs. New to Child Focus in 2018, she originally worked at the House of Peace women’s shelter through the YWCA providing trauma informed care along with resources to women and children escaping high lethality domestic violence cases. This is where she found her love for working with kids and teens. Ava received her Bachelor of Arts in Criminal Justice and minored in Psychology at the University of Cincinnati and graduated in 2018. Barbara Howard, BA, QMHS, is a case manager in the Brown County office providing services to children, teens, and families in the Brown county area. Barbara received her Bachelor of Arts Degree in Family Studies from Miami University in December of 2005. Previously Barbara worked with Clermont County Family and Children First where she worked as the senior facilitator for the Wraparound Program. She’s also worked for Talbert House in a residential setting where she gained experience in crisis situations. Barbara is involved in several charitable organizations where she is one of the announcers for the fundraisers at the events. Barbara joined the Child Focus team in November of 2017. Christie Howison, BA, QMHS, is a Qualified Mental Health Specialist with Child Focus. She received a Bachelor of Arts in Psychology at Shawnee State University in December of 2013. While attending school she participated in a school counseling internship working with middle school students and a focus on bullying prevention. 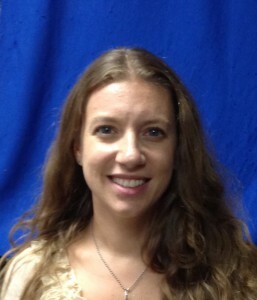 Ms. Howison began working with Child Focus in August 2014. She is responsible for individual and group Therapeutic Behavior Support (TBS) services and prevention services for West Clermont High School. Ms. Howison also serves as part of the Crisis Response Team through Child Focus. Jennifer Jeffers, M.Ed., LPC, is a Child Focus, Inc. school-based therapist serving the Ripley Union Lewis Huntington school district. She earned her Bachelor degree in 2005 from The College of Wooster and her Master of Education in Counseling and Human Development from Lindsey Wilson College in 2007. She worked as an Enrollment Coordinator for Lindsey Wilson College for 9 years before transitioning to case management for a Kentucky mental health agency. Jennifer joined Child Focus in May of 2018 and obtained her Ohio Licensed Professional Counselor credential. She is serving the students in RULH, the same district she graduated from an undisclosed number of years ago. Victoria Jetter, QMHS, currently working on the completion of her Bachelors of Social Work at Brescia University. She began her employment at Child Focus, Inc in August of 2002 providing individual/group services at the Genesis Center. She has experience providing in home services to families, developing and writing treatment plans. Ms. Jetter currently works as a therapeutic support provider at the Wasserman Youth and Adolescent Center where she continues to work closely with adolescents and their families providing services within their homes as well as at the Wasserman Center. 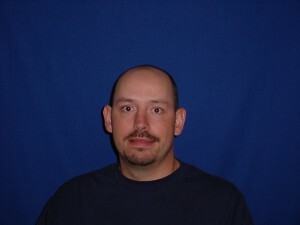 Craig Johnson, QMHS, is a case manager working at the Genesis School in the CEC-South building in Williamsburg, Ohio. He attended the University of Cincinnati. He has experience working with at risk youth for the last sixteen years. He began his career working for Lighthouse Youth Services as an Independent Living Specialist placing foster care clients into apartments; he assisted clients in developing independent living skills as they transitioned out of care into adulthood. He joined Child Focus in 2001 where he began his fourteen year career in the Genesis Program at CEC-South. At CEC-South he facilitates psycho-educational groups and individual case management. Mr. Johnson has experience in leading Social Emotional Skill Building, Anger Management, Coping Skills, Healthy Relationships, Bullying Prevention, Impulsivity Control, Building Positive Communication Skills, Drug and Alcohol Awareness, Understanding the Symptoms of your Diagnosis, and Coping with Transitions groups. Mr. Johnson’s clients are referred to the Genesis Program at CEC-South, by their home school district. Mr. Johnson is a certified trainer of Nonviolent Crisis Intervention through the Crisis Prevention Institute for the last 10 years and is now a Master Level Trainer. He provides standard training of Nonviolent Crisis Intervention as well as advanced trainings in Enhancing Verbal Skills, Advanced Physical Training, and Applications of Nonviolent Crisis Intervention for clients with Autism. Jennifer Johnson BA, QMHS, is a Community-Based Mental Health Provider for Child Focus Inc. Mrs. Johnson received her Batcher of Arts from Xavier University in 2007. 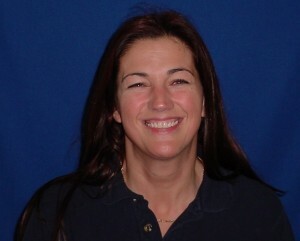 Mrs. Johnson has over 10 years of experience working with Clients with mental illness and substance abuse. Mrs. Johnson began working for Child Focus as a Case Manager at the Genesis School in 2007. She joined the School-based team in 2009. Currently, Mrs. Johnson is the Community-Based QMHS for Live Oaks Career Center. Prior to working with Child Focus, Mrs. Johnson worked with adults diagnosed with co-occurring mental illness and substance abuse as a community case manager and as a half-way house residential manager. As a Community-Based Case Manager for Child Focus Mrs. Johnson works with students one-on-one, or in a group, to reduce barriers to learning and assist them in being successful in school. Mrs. Johnson provides prevention and case management services to assist her clients with: increasing social skills, self-esteem, learning anger management techniques, development of coping skills for depression, managing anxiety, working through emotions during difficult situations, decision making, transition to independent living, and conflict resolution. Mrs. Johnson has been a member of the Clermont County Crisis Response Team since 2009 and is a Co-Leader for the Strengthening Families group through Clermont County Juvenile Court. Stella Juenger, MSW, LSW, is a licensed social worker, working with the Genesis Team at Child Focus, Inc. She received two bachelor degrees in 2015 from Miami University in Social Work and Family Studies and earned her Masters degree in Social Work from the University of Cincinnati in 2017. Stella started working with Child Focus, Inc. in November of 2016. She works with the staff of CEC- South to provide services for the students who have been referred to the Genesis program due to emotional and behavioral disturbance. Stella supports the students providing individual and group services throughout the school day.